A study found that those children whose mothers consumed a lot of peanuts during pregnancy may be at greater risk to develop an allergy to the nuts. In addition, the more peanuts the mothers consumed, the greater the chances are for the children to develop it. However, it still isn’t apparent if the mother’s consumption of peanuts can actually lead to the grave and potentially fatal allergy that seems to be on the rise, which is currently affecting about 1 percent of children. The study was initiated by Scott Sicherer of Mount Sinai School of Medicine located at New York City, as well as a team of colleagues from five places across United States. They studied 500 infants who likely had egg or milk allergy. However, these infants, aged between 3 and 15 months old, have no known peanut allergy, and most have not yet tried eating peanuts. 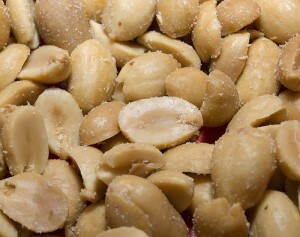 Researchers found that more than a quarter showed strong reaction in a “sensitivity test” with peanuts, and children of mothers who had eaten peanuts during pregnancy have about three times chance to show signs of the allergy. However, the study reveals that consuming peanuts while the mother is breastfeeding did not appear to cause a significant effect on children. Sicherer and his team explain that the children only underwent blood tests for peanut sensitivity. The test is not the same as those actually done to diagnose an allergy. The team is still continuing the study by following the children to identify what allergies may come and go.